The Phillies had one of the worst seasons in franchise history last year and lost 99 games. After a disastrous season like that, fans aren’t overly optimistic about their chances this year, and according to online MLB sports betting odds, the Phillies have one of the worst chances of winning the World Series. With all the negativity about the lack of talent on the team, there is still some hope for the Phils. In June, the Phillies will be the first team to select a player in the MLB Draft. Having the top pick will allow the Phillies to select a player that they can build their team around. 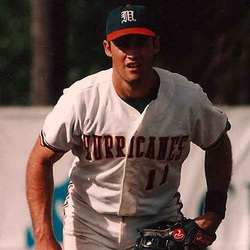 The last time the Phillies had the top pick in the draft, they selected Pat Burrell as the top pick of the 1998 draft. 10 years after selecting Burrell, Philadelphia won the World Series. Now, just because the Phillies got a player that helped them get to the World Series with the top pick in the 1998 draft doesn’t mean the same thing is going to happen this time around. The Phillies will have to decide on a plan to rebuild the team and stick with it because teams that start with a plan and change it a couple of years into it tend to stay in rebuilding mode for a while. Teams that have a plan and stick to it regardless of how bad they team plays during the process, eventually turn things around and enjoy success. A few examples of teams that stuck with their rebuilding plans and were rewarded for it are the Houston Astros, Kansas City Royals, Pittsburgh Pirates, and Baltimore Orioles. Each one of those teams suffered through a few years of mediocrity, but they are now successful and will be contenders for some time because of all the young talent on their respective teams. Even though Philadelphia fans aren’t known for their patience, they have been patient with the 76ers, who have intentionally tanked for a few years and have been collecting a lot of good young talent. The gamble hasn’t paid off yet but it eventually will once the players get some experience under their belt. For the Phillies, things are already moving in the right direction. Philadelphia already has some good young talent in Maikel Franco, Odubel Herrera, Aaron Nola, and J.P. Crawford. The Phillies ownership has also shown that it is willing to spend money to improve the team, which means the Phillies will also try to sign free agents they believe will help the team turn things around quickly. Another indication of how serious the Phillies are about turning things around is the fact that eight pitchers from last season who combined for 77 starts and a 13-39 record were let go. Philadelphia also added some promising prospect to the team when they traded Cole Hamels to the Texas Rangers last season. The team brought in Jeremy Hellickson and Charlie Morton to help improve their pitching rotation. If the front office wasn’t serious about turning things around, they would have kept the pitchers from last season. As a matter of fact, only 18 of the 65 players invited to spring training were on the roster last season. And after years of ignoring analytics, the Phillies have finally embraced it and hired a full-time analytics director to help them evaluate talent. With all the changes and improvements the Phillies have made recently, don’t be surprised to see them competing for a playoff spot in the next couple of years.